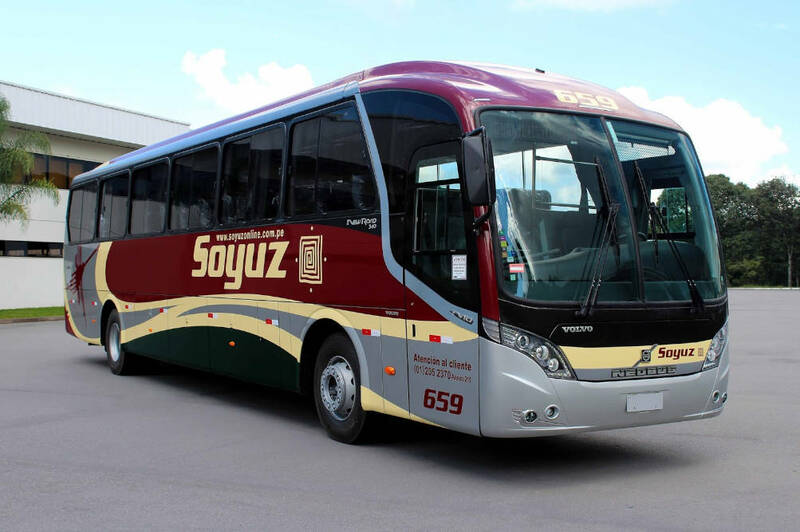 Use the search engine and find your SOYUZ BUS TICKETS.We recommend you buying SOYUZ bus tickets online SOON.It is safer, faster and you do not need to print or register. 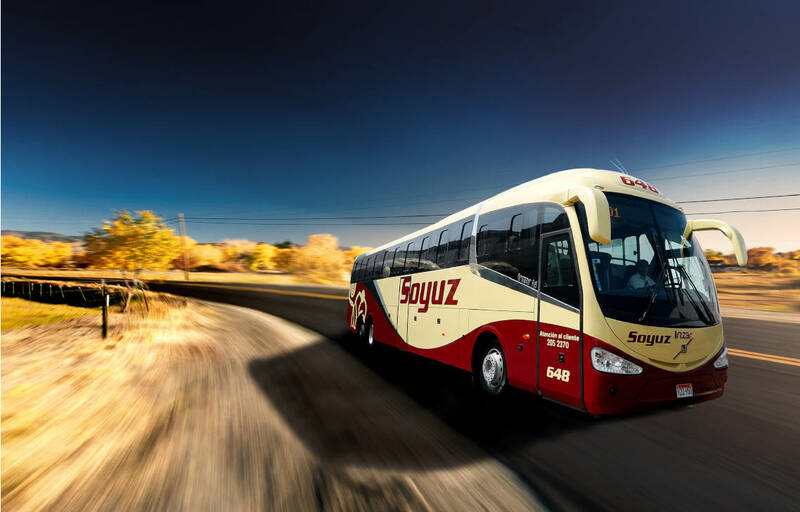 SOYUZ company provides buses joinning Lima, Huacho, Chincha, Pisco, Ica, Nazca and Palpa, with a quality service, safety and comfort to meet the needs and expectations of their users. 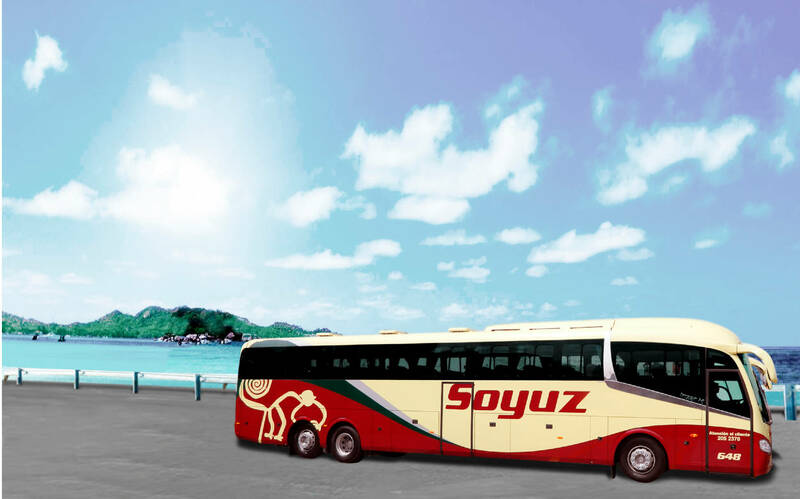 Soyuz has a modern and a young bus fleet of offering services on board, reclining seats and air conditioning. 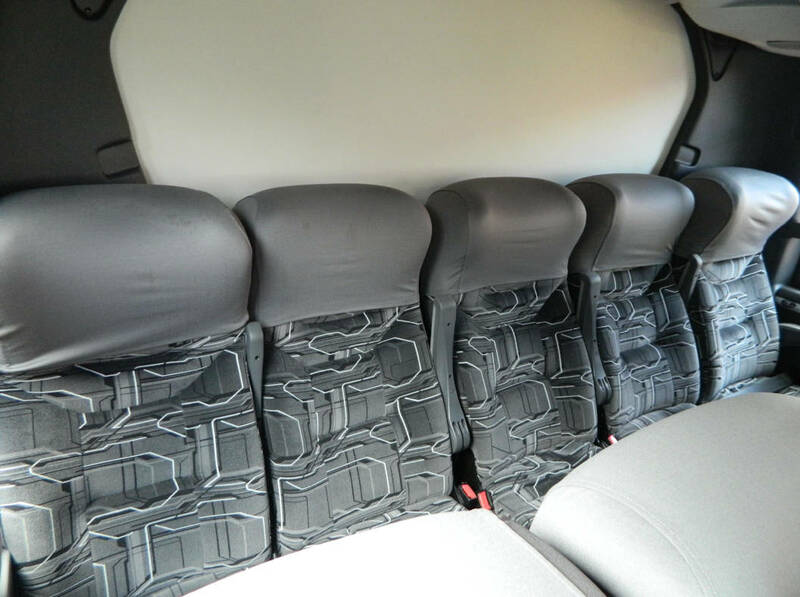 Soyuz commitment is to satisfy the needs of its customers by providing a secure quality service. 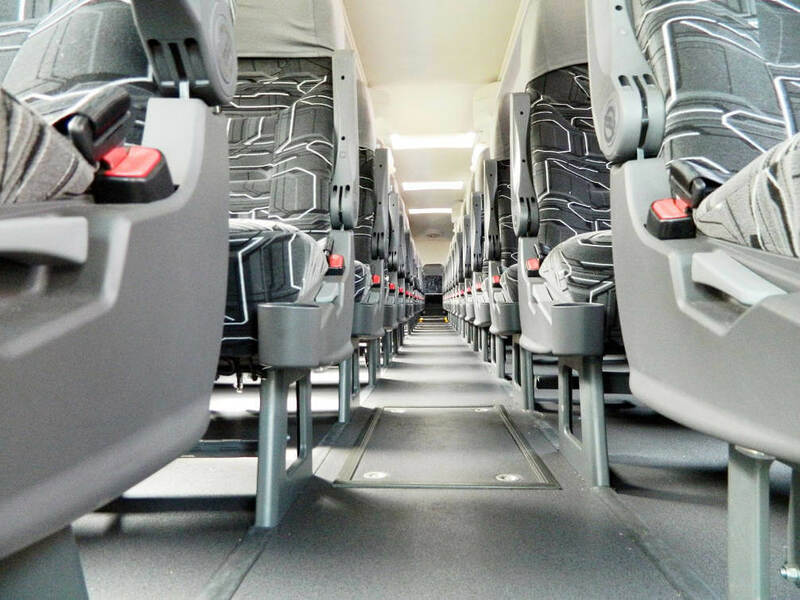 Through continuous improvement in the performance of their processes and safety, developing activities to prevent injury or damage by training its staff complying the national legislation.